Wisdom teeth are often a topic of concern for many patients, and we get asked a lot of questions about these sometimes pesky teeth. How do you know if you need to have your wisdom teeth removed? What happens if you don’t extract wisdom teeth? Does the procedure hurt? We understand that wisdom teeth can be confusing and perhaps even scary, but don’t worry, our dental office in Lakeland is here to help. 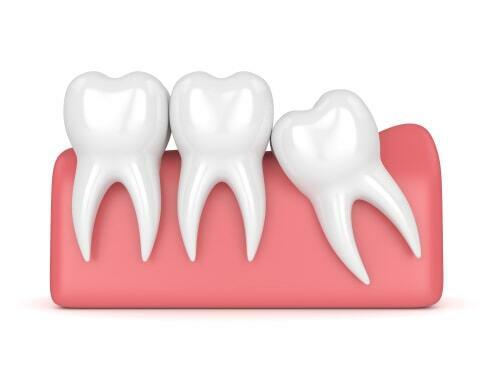 Wisdom teeth are usually first seen on dental x-rays during routine appointments with your dentist in Lakeland. Typically your dental team can see them before you even know that they’re starting to work their way to surface. This is also when we can most likely tell if they’re going to need to be removed. Most of the time, they will need to come out. In fact, 90% of Americans have their wisdom teeth removed. But what happens if you don’t have your wisdom teeth extracted? Maintaining regular visits to our Lakeland dental office not only helps protect your existing teeth from decay, but these appointments can also help us identify whether your wisdom teeth should be removed before any problems arise. If your wisdom teeth do need to be removed, don’t worry. The procedure is incredibly common and your dental team will do everything they can to keep you comfortable during and after treatment.